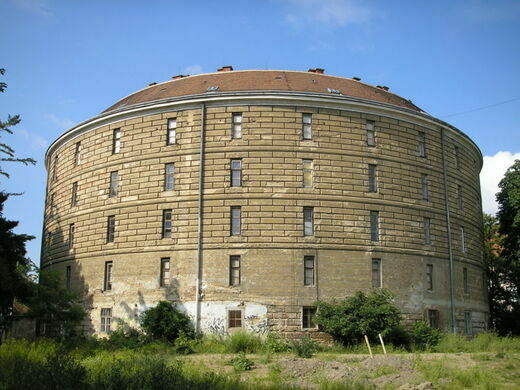 Meaning “Fools’ Tower,” the Narrenturm was one of the first insane asylums ever built. Today the Narrenturm no longer holds mentally imbalanced Viennese, but it does contain something else of interest: The Anatomical-Pathological Museum. While the circular building (known by locals as “the poundcake”) houses only a small percent of the museum’s total collection, it contains some fascinating pieces. Syphilitic skulls that resemble Swiss cheese, jars of disfigured fetuses, and graphic wax displays of untreated STDs all peer out at you from the old cells. 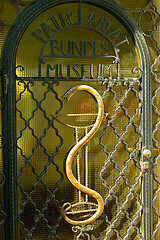 It also contains a recreated wonder cabinet, complete with a narwhal tusk and taxidermied monkeys. Keep your eyes open for the Hydrocephalic skeleton, towards the end of the museum. His enormous head is hard to miss. Update August 2017: The building is undergoing a major renovation and much of the collection has been moved into storage. Photos are not allowed. As of August 2017 the building is undergoing a major renovation and much of the collection has been moved into storage.